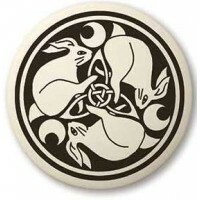 Hare - Good Fortune, Rebirth. 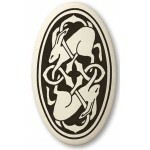 Intricately designed Celtic artwork is fired into white porcelain clay in this unique necklace made in the USA. 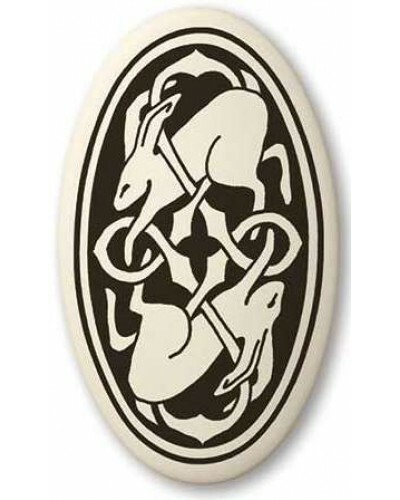 These pieces were originally developed in Scotland over 25 years ago and are now handcrafted in Michigan from fine porcelain clay. 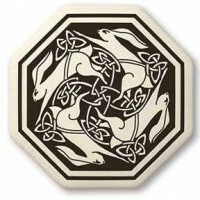 Our Celtic Art designs are original illustrations of artists from Scotland, Canada and the United States based on traditional Celtic themes. 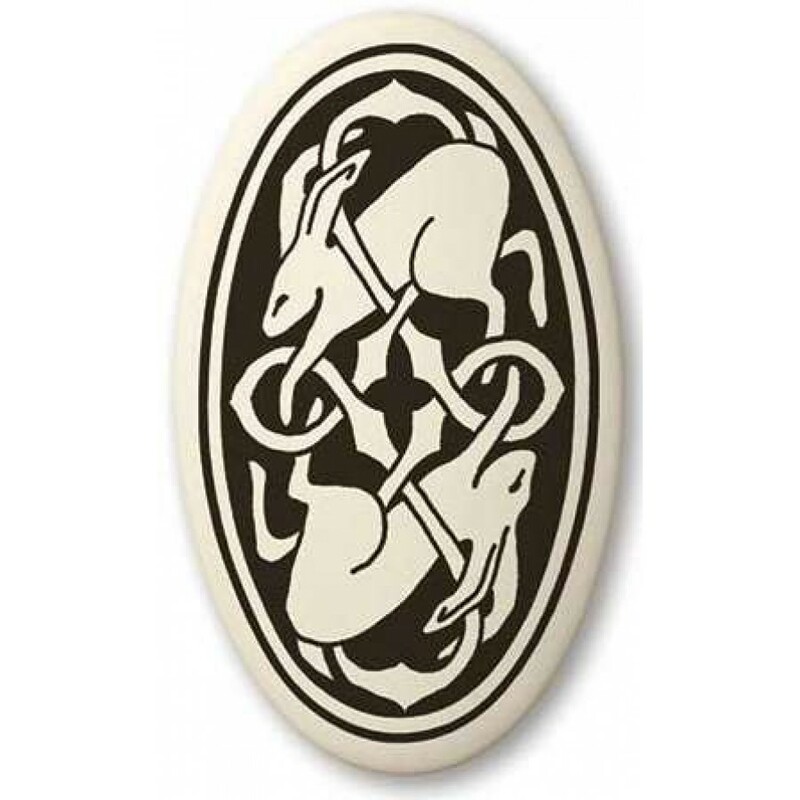 The unique manufacturing process of these pieces allows for more detail in designs than other mediums. The designs are fired into the clay at 2200 degrees, so they will not peel or wear off. Back is blank porcelain and can be personalized with an indelible pen or marker with greeting, name, or sigil for use as an amulet or talisman. Pendants come on a 32 inch braided rayon cord gift boxed with a story card. This design is available as a small pendant 1 1/2 inch x 7/8 inches, a large pendant 1 3/4 inches x 1 inch, as a large pin back 1 3/4 inches x 1 inch or a set of earrings (1 1/2 inch tall) with stainless steel ear wires. Item Number: TS-CA10V | Approximate Size (Inches): 1.18 wide x 0.05 deep x 1.50 high | Approximate Shipping Weight: 0.25 lbs.